Abiro IoT is now fully integrated with Sensative’s IoT platform Yggio and Microsoft Power BI. 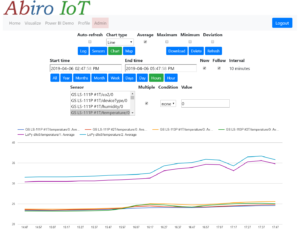 Data generated by Yggio is logged in Abiro IoT and either visualized locally or via Power BI, either by importing historical data or setting up a streaming dataset. See Abiro IoT for more information.